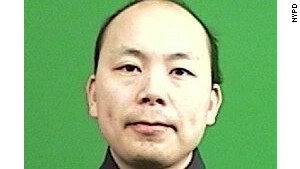 Wenjian Liu, age 32, was a seven year veteran of the force, the NYPD Deputy He was married only two months ago. Rafeal Ramos, who just had his 40th birthday, became a cop only three years ago after working for years as a school safety officer. 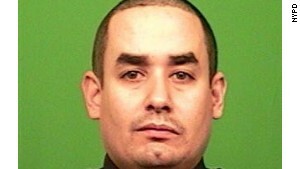 He was a two year veteran of the NYPD. He leaves a wife and 13 year old. The story out of Brooklyn is unspeakable. People are using the word “executed” and “assassinated.” Two police officers are dead, having been shot and killed ambush style. There was a hint on Instagram that this could have been revenge for the deaths of Michael Brown and Eric Garner. Sometimes I think about a sand box, the first place most toddlers learn about navigating the world. There are big kids and little kids. Some are innately kind, some have yet to grasp anything about sharing, and seem to display pre-bully characteristics. Some are dominant and creative, some docile and deer-in-the-headlights. But with the help of adults, they learn not to knock down someone else’s castle, or steal another child’s snazzy shovel. At the sign of a dispute, we adults say over and over again “Use your words.” And eventually, instead of hitting, or kicking sand in the face of the perpetrator, they do. They use their words.They figure out that working together works best and that they actually get a warm feeling in the middle of their little toddler bodies when they do. They begin to understand how to be friends, how to have respect for another. This doesn’t happen without a lot of trial and error, or screaming and tantrum-ing, but it does happen. You can watch it. 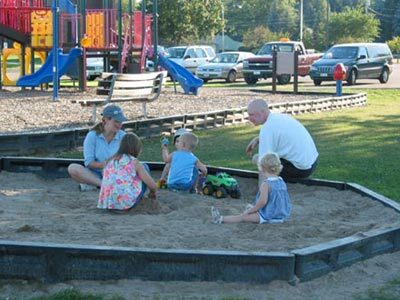 What is it that happens between that time in the sandbox and adulthood? Why is it that we lose the idea of using words instead of guns to express ourselves, our rage, our feeling of powerlessness and unfairness? It’s not just Brooklyn, it’s Pakistan, it’s Israel, it’s Boston, California, Chicago, name your geographical location. We have forgotten what it is to discuss, to compromise by using discourse. Instead we get out the artillery and shoot. And we call ourselves civilized. The world is going cuckoo clock crazy. Sandbox rules apply to adults. We need to go back to the park.